Police were investigating a report of a stolen vehicle at the time of the accident. They are also looking into whether police vehicles were in pursuit at the time, officials said. 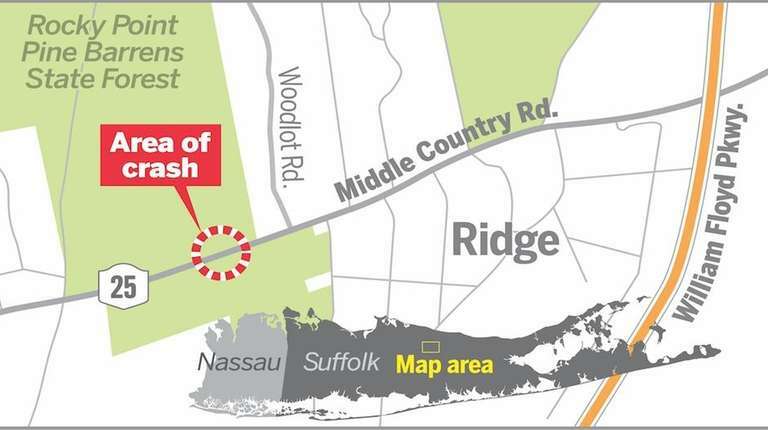 Five people were killed Wednesday in Ridge when a speeding car that was reported stolen struck another on a busy street, triggering a four-vehicle crash in which one victim was ejected and a car was engulfed in flames, Suffolk police said. Four of those killed were in a 2012 Mazda that caught fire after being struck, police said, while the fifth had been in the car reported stolen, a silver 2018 Chevrolet Camaro, police said. “That’s my son! I want to see my son,” an unidentified woman apparently related to the victim from the Camaro said as she ran past yellow police tape before officers intercepted her at the scene near Woodlot Road at about 4:20 p.m. Wednesday. Jamel Turner, 23, of Bellport, the Camaro driver, was charged with third-degree criminal possession of stolen property and false personation. Police said they anticipate additional charges. Turner also was charged with an outstanding warrant. He was taken to a local hospital with non-life threatening injuries. Turner has several prior convictions on misdemeanor charges. In his most recent case in 2016, he was sentenced to 30 days in jail for unlawful fleeing of an officer in a motor vehicle, records show. 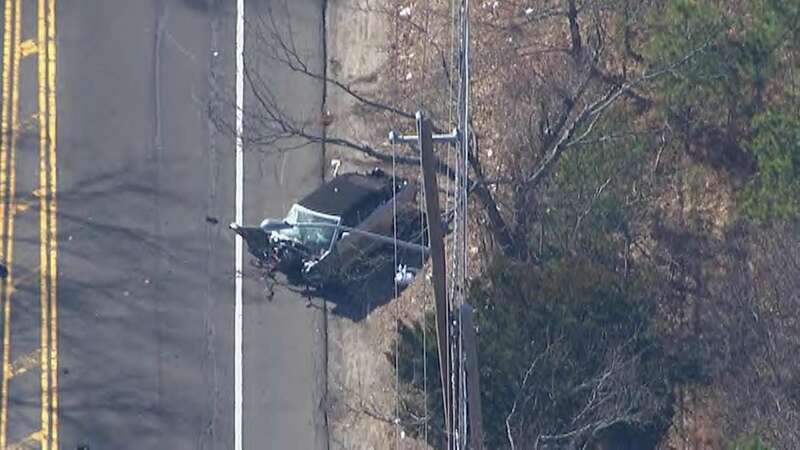 Lonidell Skinner, 19, of Bellport, was a passenger in the Camaro and was ejected. He was pronounced dead at the scene by a physician assistant from the Office of the Suffolk County Medical Examiner. The driver of an oil delivery truck also involved in the crash was transported to a local hospital with serious but non-life-threatening injuries. The driver of the fourth vehicle, an Infiniti, was not injured. The accident took place after a chain of events that began when officers responded to the report of a stolen vehicle. Suffolk County Police Chief Stuart Cameron, at a news briefing, said the investigation will look at the actions of the police vehicles who responded to the report. They followed the Camaro from an apartment complex where it was first located to the accident scene — arriving shortly after the crash, he said. “We received a call from OnStar at approximately 11:15 this morning,” Cameron said, referring to a service that tracks stolen vehicles and notifies authorities. “They were tracking a stolen 2018 Chevrolet Camaro. That vehicle was reported stolen to us yesterday on the 13th of February out of Shirley,” he said. 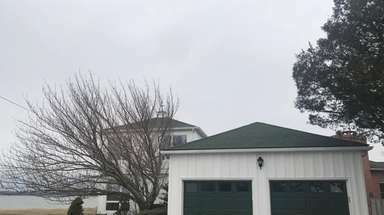 The Camaro sped away, going over the lawn of the complex, which was about a mile away from the crash scene, and then down Middle Country Road — and at least two Suffolk patrol cars went after it, he said. A third police car that had been heading toward the apartment complex turned around and also followed, he said. Cameron said the police vehicles that were following came over the crest of a hill on Middle Country Road and saw the crash. “Our patrol cars were some distance behind. That is going to be part of the investigation. 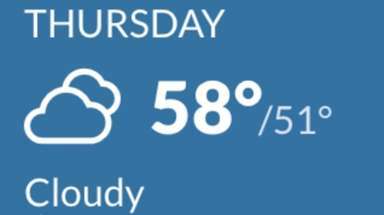 But we do not believe our cars were in pursuit,” he said. 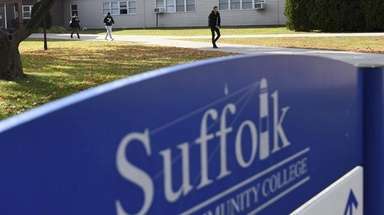 An official police pursuit is governed by Suffolk police department rules that require officers to check in with dispatchers, and assess the nature of the alleged crime and the safety of the officers and the public. Cameron said the Camaro was barreling down the street eastbound when it struck the Mazda, also going eastbound, and hit a westbound oil delivery truck. The Mazda rammed into an eastbound 1999 Infiniti and burst into flames, police said. Skinner was ejected and pronounced dead at the scene along with the four other victims in the Mazda, police said. Turner’s mother, Kim Lockett of Bellport, said in an interview she spoke briefly to her son, who is in the hospital with a broken pelvis and leg. Lockett said her son told her that his friends had rented the car. She blamed the police for the crash, saying they pursued the Camaro. “What I’m not understanding is if they weren’t pursuing or chasing this car . 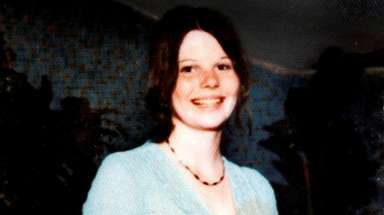 . . how did you get to the accident so fast?” Lockett said. It was a frightening scene for other motorists and residents near the busy road. Just before the crash, Denise Killoran, 45, of Middle Island, said she was driving on Middle Country Road when she saw a speeding car coming up behind her. “I was looking in the mirror and I saw this car going fast, like 100 miles per hour, so fast for that kind of road. I said to myself, ‘Oh my God, he is going to hit the car next to me,” she said in an interview. She said the speeding driver swerved at the last second. Three police cars were following it, she said.